Here at TM Automotive, we ensure all our customers receive a professional yet affordable car service by our mechanics with 60+ year’s collective experience. 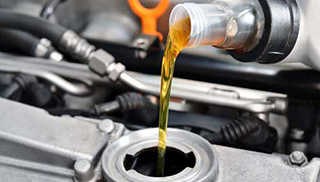 From MOTs to Car Servicing and Diagnostics, you can rely on us to help you with your car maintenance. an inappropriate time can be inconvenient and can seriously impact on your daily life and even your work.  We therefore understand and aim to ensure that all of our customers receive a prompt, comprehensive service that is also great value for money. If you’re in need of an MOT check that is both affordable and comprehensive, you need look no further in our region. Whether you need small niggles attending to or a larger fault analysing and rectifying, we at TM Automotive are here for you with comprehensive expert advice and assistance on demand. We’re specialists in all aspects of automotive maintenance and repair, and we are considered experts in 37 different car and vehicle manufacturers. We can even make sure that your tyres are road-ready and raring to go, offering a same day service that you’ll be hard pressed to find elsewhere locally. We’re not just all about an MOT test – though it is a rather large string to our bow! Look out for our regular offers to save you money! We like to provide our customers with good value deals such as a free winter safety check, discounts on tyres and free holiday car checks. Regular customers come from all over Sheffield and beyond, but clearly, as we’re at 2 Archer Road, Sheffield– just off Abbeydale Road South, we’re regarded by many as their local Sheffield garage and MOT test centre. Conveniently located near some of the largest supermarkets in the area and other independent traders, you have the opportunity to get on with some shopping while we carry out the nitty gritty on your MOT check, service or other work on your car. Being a Sheffield MOT Test Centre, we are able to offer very competitive service and MOT packages ensuring your car is safe and road worthy. 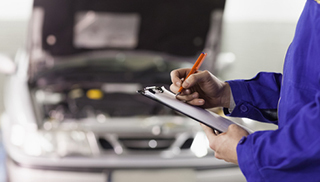 Our qualified MOT testers will carry out the necessary inspection on your vehicle. A service is a worthwhile investment as not only will your car be more roadworthy but it will also save you time and money and could even identify any repairs that might need doing to avoid your car failing its future MOT. When a warning light illuminates on your dashboard, this indicates that there is a problem with your vehicle. This could be an electronic problem; maybe something has gone wrong with an electrical component in the fuel system, engine or elsewhere on the car? 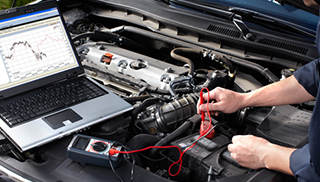 A diagnostic test can identify where the fault is and correct it. I have had the pleasure of using the services of TM Automotive on numerous occasions, I have found that the service is second to none and the pricing is always very fair. The team are always very friendly and the standard of their work is excellent. I would recommend TM Automotive to anyone looking for a friendly and trustworthy garage. As a single woman I always worry when I take my car into a garage because I worry about being ripped off. TM Automotive didn't let me down, I got a good price, excellent service and felt totally at ease. I would recommend them to anyone. How do you know that we will give you the service you need at a price that won’t break the bank? Customer feedback! Our philosophy is that we offer a service to people that we would like to receive ourselves. It seems to have worked because 100% of our customers would come back to us, and 100% would recommend us. Why? Quality service – and trust! Trust is a big part of our business and mechanics don’t always have the best reputation. We offer a warm welcome to our customers and they can rest assured that we will provide them with the best advice and service possible.